Flippant as this remark may sound the question posed in this Review about whether there could or should be a secondary school in Larkhall has forced a number of local residents to go further and ask BANES to give full consideration to the exciting possibility in Larkhall of eventually joining the three Church of England schools – infant, junior and St Mark’s Secondary – that already exist virtually at the same location. If we don’t look at the whole of a youngster’s schooling then we won’t be able to think beyond the Irishman’s conundrum. 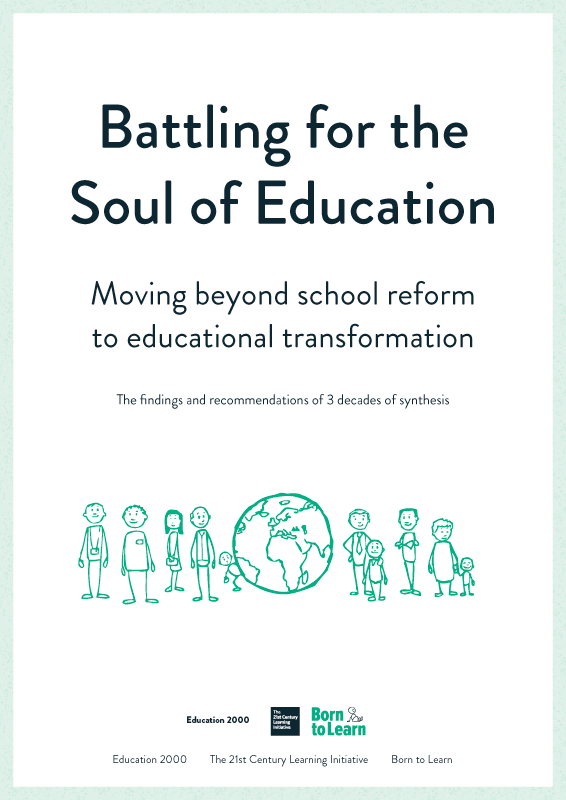 In the context of today’s rapidly changing world, it seems to us that formal schooling has now to start a dynamic process through which pupils are progressively weaned of their dependence on teachers and institutions, and given the confidence to manage their own learning. Using the opportunity to consider the role of the secondary school we would like to work with the Authority and go further to create an all-through school able to offer a continuous and seamless process right through from the age of five to sixteen. Such a form of education would enrich the whole of BANES by showing what could be achieved when this is delivered by teachers who have both a technical subject knowledge and considerable expertise in pedagogy and child development. Such an all-through school would have a unique opportunity to redirect the more generous resources currently assigned to older pupils, and so front-load the system that all children would be prepared to take ever more responsibility for their learning. To rupture a child’s schooling at the ages of seven and eleven does considerable harm to some pupils, but to continue treating all young people at sixteen and above as school pupils is to so “go against the grain of the brain” that it wears out schools, and turns off the youngsters themselves. We concur, therefore, with the proposal that it would be best for the post-sixteens to pursue further courses in schools or colleges which, by extending the principles of cognitive apprenticeship, offer courses that ground rigorous theory in practical experience. Through the use of distance learning programmes they should broaden the concept of learning far beyond the walls of the institution. Sited in the very middle of the thriving community of Larkhall such an all-through school would more than attract the numbers of pupils needed to maintain what currently is seen as an 11-16 school. Eventually we would believe strongly that such a school would be under pressure from large numbers of pupils wishing to move into it from other parts of the city, rather than losing such numbers to other schools as it does at present. We totally endorse the BANES vision that “all children and young people (should be) fully prepared for life in the 21st century.” We believe that this can be more effectively achieved by the primary and secondary schools working together with the full and enthusiastic support of the community. We appreciate the need to reduce the number of surplus places and to create, in each school, units which are both socially and economically viable. We are pleased that the Diocese wishes to maintain the St Mark’s site for secondary provision. Specifically we believe that the provision of a properly structured all-through 5-16 school in the middle of Larkhall would not only significantly raise the academic standards of the pupils but would also greatly increase the social capital of that community to the benefit of everybody. Previous: Dare to be Wise?